The barn owl (Tyto alba) is one of the most widely distributed of all birds, taking top honors in that distinction among owls. Now acknowledged for its role as a predator of rodents, up until the late twentieth century this large-winged, long-legged owl was maligned as a portent of evil or death, hunted even by the farmers who reaped the benefits of the barn owl’s prowess. 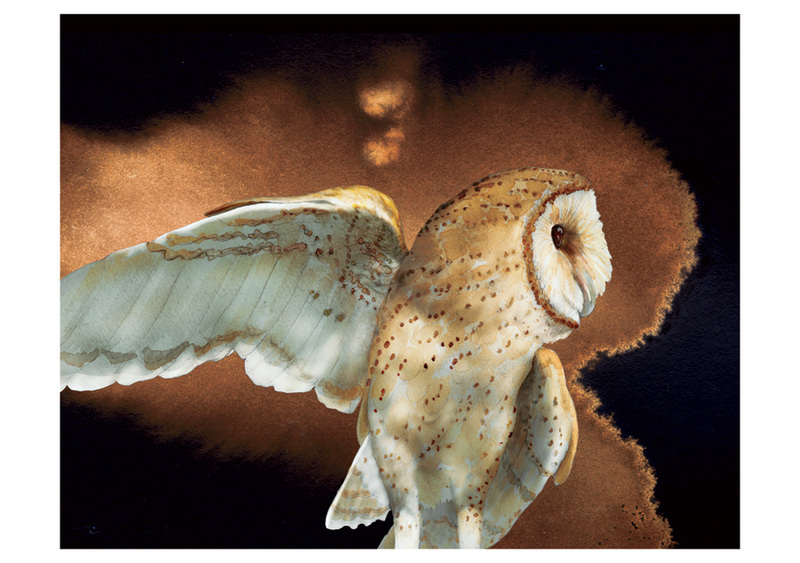 Silent in flight, with a telltale screech serving for a “hoot,” the barn owl has a heart-shaped face that may have helped endear it to present-day humans. 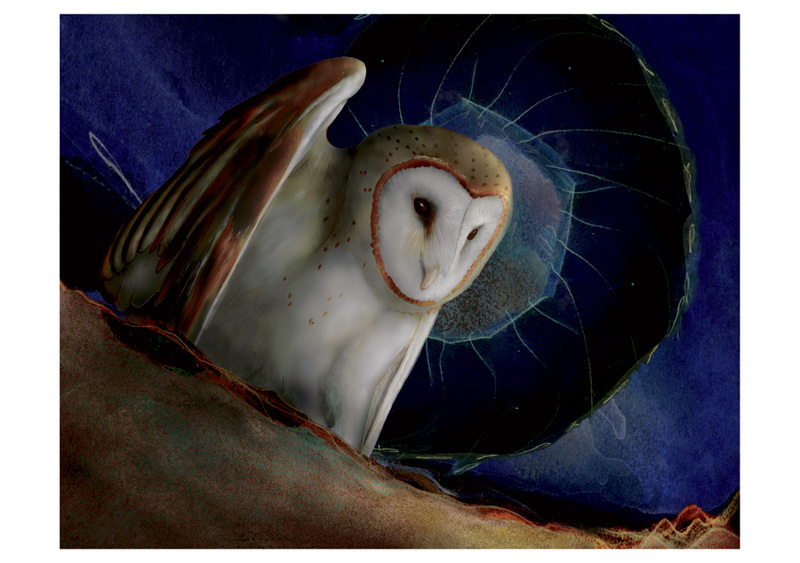 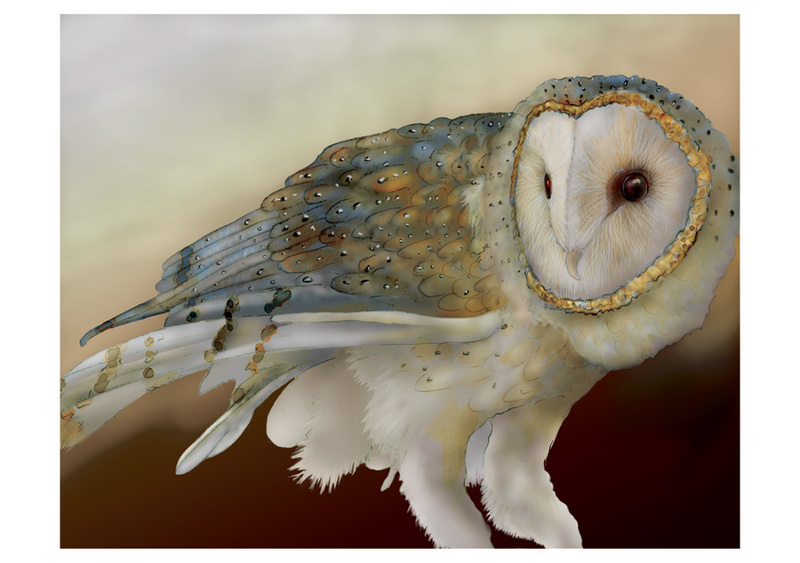 Berkeley, California—close to where the creator of these images lives—recently named the barn owl the official bird of the city. 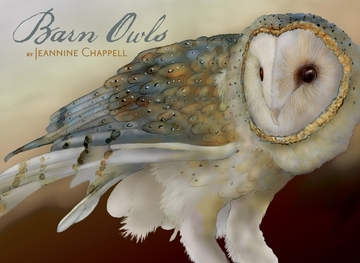 Born in Atlanta, but long since nested in the San Francisco Bay Area, Jeannine Chappell combines her talents for creating images on paper with the options provided by editing her artwork via computer. 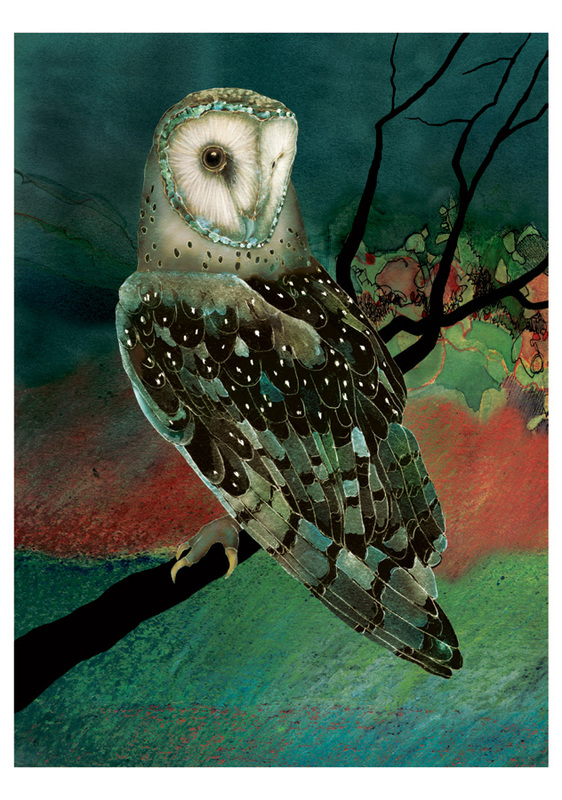 Such a merger engenders qualities of collage into her unique works of art, more of which can be viewed a www.east-bay.com/jeannine.